One of the favorite books of my formative years (and also the favorite, I am sure, of a few others) was Bert Hölldobler and Edward O. Wilson's tome The Ants: a synthesis of the sum total of myrmecological knowledge up to 1990, and winner of the 1991 Pulitzer Prize in non-fiction (perhaps the only straight-up textbook to have ever done so; Yee, 2004). As an incipient preadolescent entomologist, my favorite part of the book's contents was the section devoted to collated line drawings and profiles of all ant genera considered valid at the time (organized by subfamily). By poring over these figures time and time again, I was gradually familiarized with the distinctive silhouettes of many an ant, solidifying the more morphologically peculiar ones in my memory (the adorably wacky Discothyrea comes to mind here). Among these more striking sketches was one detailing the morphology of a species by the name of Tatuidris tatusia, contained in the Myrmicinae: in my usual learning process, I looked the name up in the index to find if any data were contained elsewhere in the book on the taxon. But The Ants would yield no information on T. tatusia, other than that it was the sole extant member of the myrmicine (Carpenter, 1930) tribe Agroecomyrmecini. 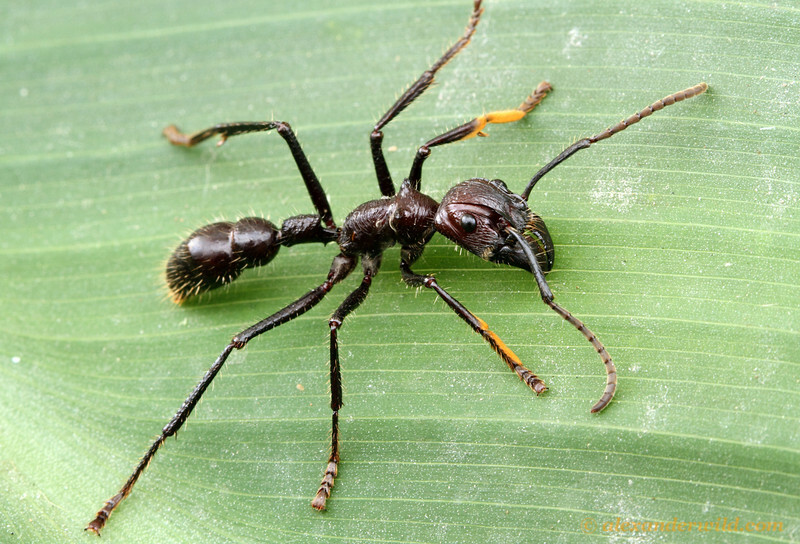 It made perfect sense to me that Tatuidris (the etymology of the name suggested the ant's epithet "armadillo"; Lacau et al., 2012) should have a tribe all to itself—what with its generally weird habitus (a combination of a prominent stinger, clubbed antennae, and distinctively heart-shaped face); but this strangeness further made me wonder whether it was genuinely myrmicine in identity (doubts that were incidentally shared by some taxonomists, as we shall see). Aside from Tatuidris, the armadillo ants include only the extinct genera Agroecomyrmex (from Baltic amber; Wheeler, 1914) and Eulithomyrmex (from the Coloradoan Florissant Formation; Carpenter, 1935): both date to the Paleogene Period (the latter about 10 million years younger than the former; Ritzkowski, 1997; Foos & Hannibal, 1999). Their assignment to the Myrmicinae (one of the most speciose single subfamilies within the Formicidae) was made on the basis of morphological similarities to members of the tribe Phalacromyrmecini, and, to a lesser extent, Dacetini (Brown & Kempf, 1968; Brown, 1977; Bolton, 1984): these common characteristics include an expanded facial vertex and deepened scrobes* (the extension of which all the way back to the eyes is another distinctive quality of Tatuidris; Baroni Urbani & de Andrade, 2007). Right from the description of the first living agroecomyrmecine (T. tatusia) these traits were suspected of being only dubiously indicative of kinship (Brown & Kempf, 1968; Bolton, 1984): speciousness affirmed by the elevation of the Agroecomyrmecini to subfamily rank (Bolton, 2003), although the first fully cladistic analysis of T. tatusia affirmed its relation to the Dacetini and inclusion within the Myrmicinae (Baroni Urbani & de Andrade, 2007). Classifying armadillo ants within their own subfamily—as is the prevalent opinion at the moment—still begs an answer to their true phylogeny. Two opposing theories seem to have arisen on the matter of agroecomyrmecine placement within the Formicidae: one regards the subfamily as sister-group of the Myrmicinae (Bolton, 2003); the other, as within the grab-bag of "poneromorph" subfamilies (the Amblyoponinae, Ectatomminae, Heteroponerinae, Paraponerinae, Proceratiinae, and Ponerinae) which sit at the base of the "formicoid" clade in which the Myrmicinae is placed (Ward, 2009): specifically, close to the monotypic Paraponerinae (Brady et al., 2006) or near the Amblyoponinae (Rabeling et al., 2008). The results of one mainly morphological study resolve the ambiguity by deriving the Myrmicinae as both within the "poneroids" (Keller, 2011) and akin to the armadillo ants. With all of this ambiguity, one can only wonder if biological data on the only extant armadillo ant would be at all informative in agroecomyrmecine phylogeny. T. tatusia has been collected throughout southern Mesoamerica and northern South America, reaching greatest abundance in upland areas (largely between 800 and 1,200 meters in altitude); the species includes multiple morphs throughout its range (which on one occasion caused the mistaken description of new species; Lacau et al., 2012) and exhibits an unusual degree of intraspecific genetic variation: this suggests either that the population in fact consists of several cryptic species that taxonomists do not yet have the information to confidently delineate, or that it is a lineage in the process of allopatric speciation (Donoso, 2012). Hence, we can only assume that T. tatudris is a most specialized predator. Of what, precisely, remains to be seen whenever science captures its next glimpse of armadillo ants. 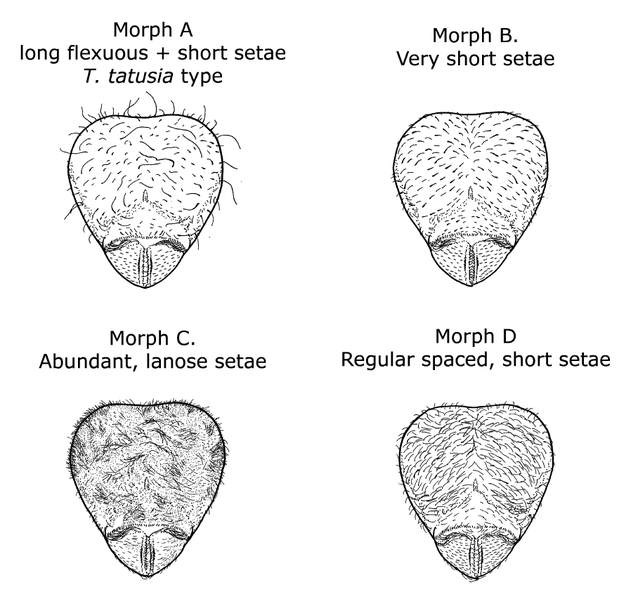 *Cephalic slots into which antennae can be retracted. Baroni Urbani, C. and de Andrade, M. L. (2007). The ant tribe Dacetini: limits and constituent genera, with descriptions of new species. Annali del Museo Civico di Storia Naturale "G. Doria", 99, 1-191. Bolton, B. (1984). Diagnosis and relationships of the myrmicine ant Ishakidris gen. n. (Hymenoptera: Formicidae). Systematic Entomology, 9, 373-382. Brown, W. L. (1977). An aberrant new genus of myrmicine ant from Madagascar. Psyche, 84, 218-224. Brown, W. L. and Kempf, W. W. (1968). 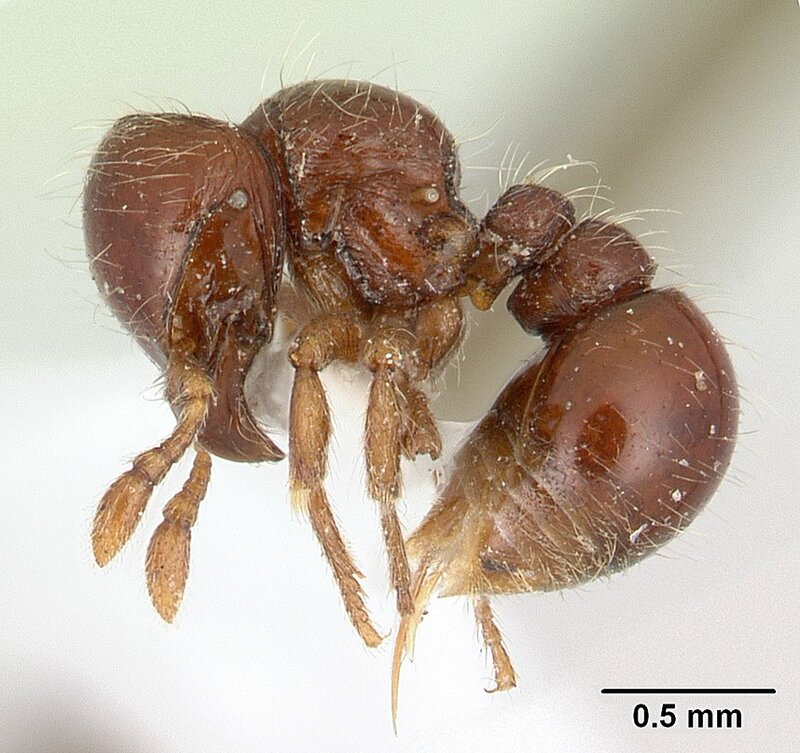 Tatuidris, a remarkable new genus of Formicidae (Hymenoptera). Psyche, 74, 183-190. Rabeling, C.; Brown, J. M.; and Verhaagh, M. (2008). Newly discovered sister lineage sheds light on early ant evolution. Proceedings of the National Academy of Sciences, USA; 105, 14913-14917. Ritzkowski, S. (1997). K-Ar-Altersbestimmungen der bernsteinführenden Sedimente des Samlandes (Paläogen, Bezirk Kaliningrad). Metalla, Bochum; 66, 19-23. Wheeler, W. M. (1914). The ants of the Baltic amber. Schriften der Physikalisch-Okonomischen Gesellschaft, 55(4), 56-59.